Description: Jen just wants a normal lesson with her cabin, teaching Jo, April, Mal, Molly, and Ripley the basic survival skills needed without any supernatural intervention. But when a blizzard hits camp, Jen finds herself separated from the girls and in more trouble than ever... until a mysterious taxidermist swoops in to save the day. Who is she and what is her relationship to Rosie? Join Jen as she finds a way back to her girls, and a way to save the day! Review: Lumberjanes continues to be an enjoyable read where female friendships are celebrated and take center stage. This graphic novel series is a fun mash-up between traditional camping experiences and fantasy. In this volume we get more backstory as how the camp started, the camp director Rosie, and the mysterious Bear Woman we met in the last volume. We also learn what it means to be a Lumberjane, a person who drops everything in order to help their friends in a time of need, as our young Lumberjanes get together and put their combined skill set in use as they try to save their camp counselor Jen after she disappears. Description: Excited for the annual Bandicoot Bacchanal, Ripley recruits her friends to help her get ready for the dance. But before the Lumberjanes know it, something mysterious begins to bubble to the surface of the lake near camp! 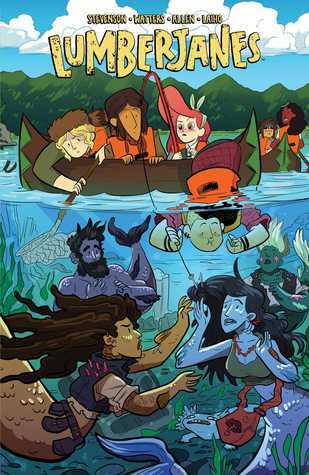 Will the Lumberjanes be able to bring peace to the lake in time for the Bacchanal? 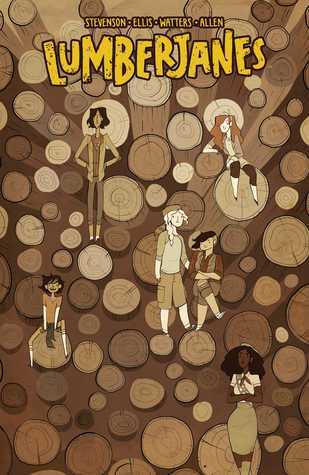 Review: My favorite part of this volume is learning about the families of our favorite Lumberjanes and how they met one another, which sets the stage of our story. Unlike the other volumes in this series, there is one main plot point that we are following which isn't necessarily a bad thing. 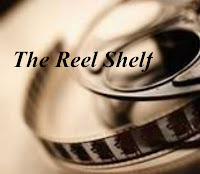 In this volume we are zeroing in the flaw of April who likes to control things and we see how her attempts affects others. We also find out that there are mermaids in the lake near camp, which really isn't all that surprising considering all the other wacky/supernatural/fantasy things that happen in this series. These both sound like they were pretty solid reads. Aww yay, I love these! (I assume it was you who originally recommended them to me, but I can't quite remember). I adore these girls so much and it was so nice learning more about their families. Though I will say, I am not a huge fan of the illustrator that did the majority of the mermaid volume - much prefer the other style!